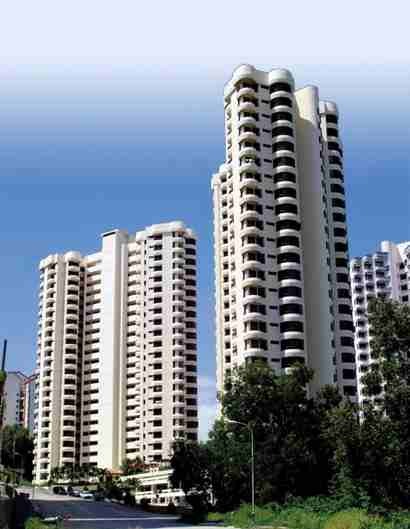 The Twin Towers is strategically built on the freehold stretch in popular Tanjung Bunga area. It is the second-phase development of the Ratu Mutiara residential scheme. The project itself is nestled within a well-landscaped environment. Twin Towers hillside condominiums are distinctively designed and combines the best luxury living and modern-day convenience. Twin Tower have 200 standard condominium units ranging from approximately 920 to 1,330sq.ft. Each unit offers spectacular views of the beautiful sea in the distance. The neighbourhood condominium blocks are Marina Tower and Desa Mar Vista. Built-up Area : approx. 920 - 1,330sq.ft.